Where do you send me to enjoy a cold beer in that beautiful summer weather – in the center of Zurich? 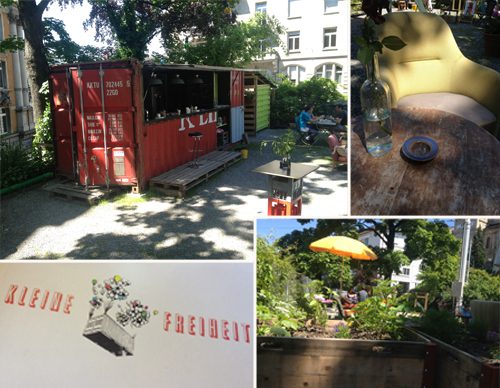 That’s easy: we send you to Kleine Freiheit – an urban garden and bar in one, with a very relaxed atmosphere. Finally, the lovely little Weinbergpark on the way down from the University to the central station is used. The friendly students behind the desk serve delicious things, we especially recommend the local beer or the oriental sandwich with falafel, tomatoes and garlic sauce in pita bread. We can’t help but being reminded of Frau Gerolds Garten‘s ship containers and flower boxes and the same good vibes, so we name Kleine Freiheit the little brother of “her”. Stop by to play some games, read a book, to have lunch or an afterwork beer! Other options @Kreis 1 are the Rio Bar or the Grande. Where to get the best cocktails in town? What to expect? Simple, but classy furniture with the perfect details. The guys behind the bar mix the cocktails with a lot of dedication and are always friendly and dressed stylishly with bow ties. The long menu offers countless delicious drinks – ask the bar staff if you need help to choose! Grande is located at the Limmatquai – in the heart of Zurich’s old town. But besides the position, it’s very similar to Dante. No surprise as the two bars have the same owner! 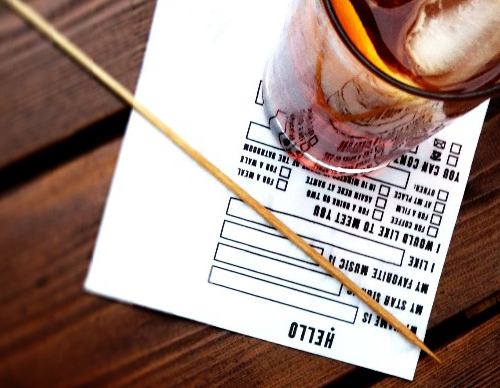 Enjoy the perfect Old Fashioned, Gin Tonic, Pimms… in a very relaxed atmosphere.